Its nitesh , writing here to get clarification on my few points. I went to hospital on 3 Aug 2010,where i was operated ,for  meeting with the complaint incharge regarding negligence in my hair transplant .I was lucky he called the <strong>Dr Charu Sharma</strong> there also ,for direct conversation. My opinion is that its a direct negligence in my HT surgery and not a small variation in results. doner area in hair transplantation ?? then what is tricophytic closure??? opinion is grafts placed at wrong angle. hairs can grow after 1.8 years of surgery.??? SO i want input and suggestion from all of your side for mentioned points above ,in order to get a clear vision of my hair transplant results analysis and truth should be known. 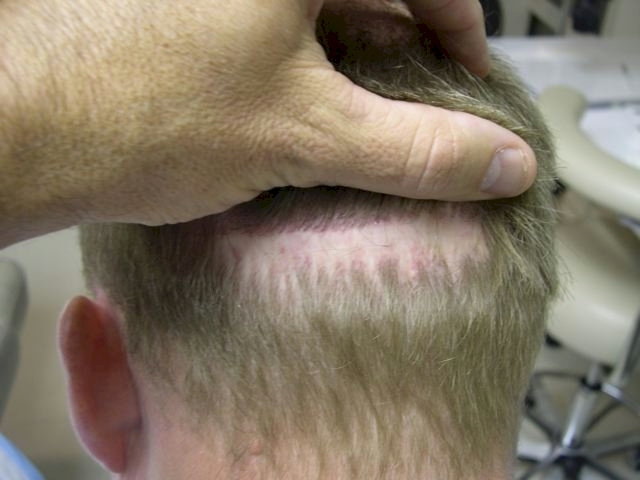 » doner area in hair transplantation ?? I am not a doctor. In my opinion, the strip excision was a little bit too high. Normally it is taken sllighly below the EAR where patients have higher scalp laxity. In your case, it appears that the excision was taken ABOVE the ear. That said, it is not entirely unusual as I have seen other doctors do the same with very good results. Touch the back of your head with your hand, you can quite easily feel what part of the scalp has the most laxity. Here’s a video posted by Hasson & Wong before. Hair transplant, Tri closure, shaved to a #1 guard. This should give you a good idea what the result is supposed to look like if the procedure was done correctly. 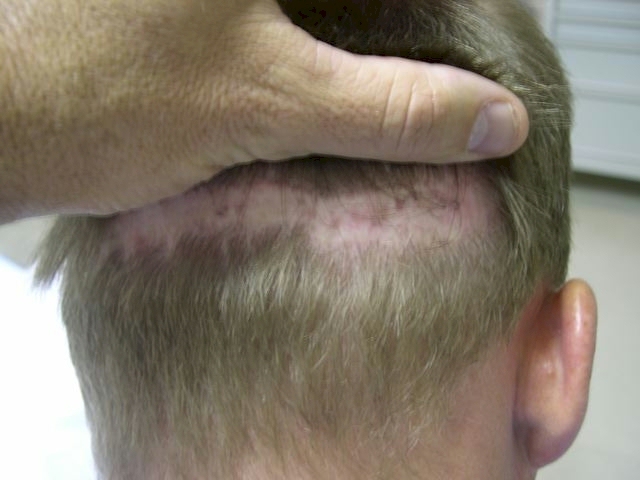 Example of bad strip scar, similar to yours. This patient went to Dr. Jones for repair. yes you are right ,laxity is more on left part. Actually the point you have mentioned related to laxity. But i want to know more that ,Does safe donor area (permanent hair zone) is defined in any HT book or anywhere or any Doctor? 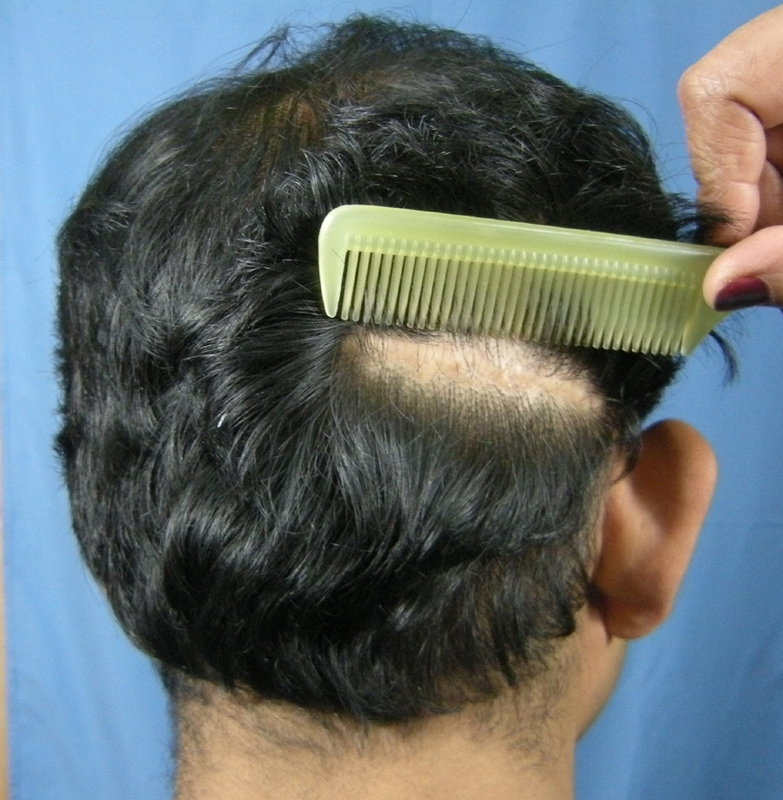 ?, from which hair should be extracted or strip should be taken for hair transplantation??? Because if the strip is taken from anywhere from (non permanent hair)or unsafe donor area , and transplanted that hairs,then that hairs will lost early in life. So i want to know my strip comes in safe donor area or unsafe donor area. What are the boundary line of safe donor area.?????? » yes you are right ,laxity is more on left part. » Actually the point you have mentioned related to laxity. 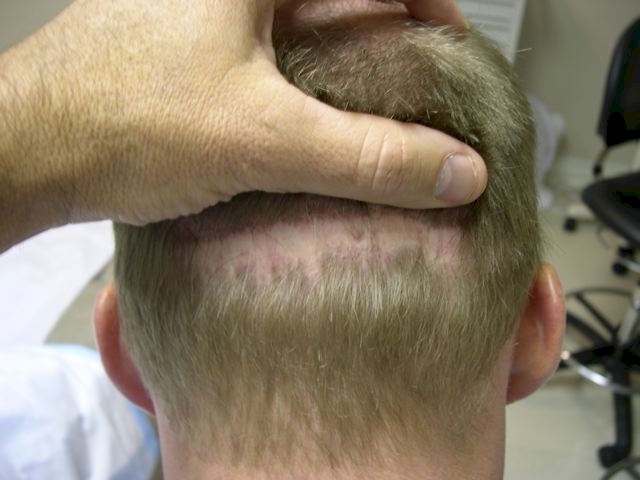 » should be extracted or strip should be taken for hair transplantation??? » What are the boundary line of safe donor area.??? i think the answer to your question is not very simple… the limit of a persons safe donor area is defined by the NORWOOD level he progresses to,that is the donor area taken in your case as depicted is no way a safe donor area for NW-7 or may be NW-6 but then if a person is not going to be progressing beyond NW-5 it may still be in safe zone,i have seen lot of fue clinics taking hair higher up,but yes this is rare in strip procedure as the laxity is maximum down below and they by no means would risk the scar showing up if NW level progresses(not that much of a problem with fue)! !..anyways,i still believe its the responsibility of the doctor to anticipate the future hair loss and keeping that in mind give you a scar that is sufficiently low enough so that it remeins hidden even if you progress to NW-6/7…so YES! !ACCORDING TO ME WHAT DR.CHARU DID TO YOU WAS A BLUNDER!! I think safe zone means using DHT resistant donor and they are further down toward the nape area, that is where the follicles tend to grow permanently, take a look at guys who are Class 6 and you will know approx where the safe zone is. If you take the donor from too high up those hairs may still fall out one day. My 2 cents. Hiii I got idea good about safe donor area…by you. » fall out one day. My 2 cents.